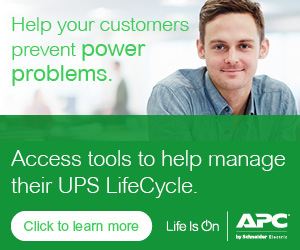 Jason Juley is the Senior Director of Business Development for APC by Schneider Electric. Jason manages a cross functional team that turns strategy into execution throughout the North American zone. In his over 17 years in the Data Center industry, Jason held leadership positions in Business Development, Service, Operations, Product Management, System Design, Technical support, Quality, Project Management and Order Management. Jason holds a B.S. in Business Marketing from the University of Wisconsin - Stevens Point.